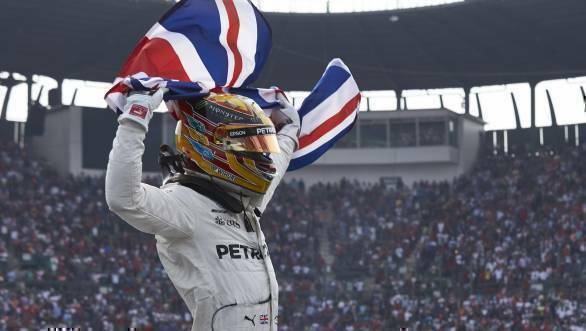 Lewis Hamilton claimed his fourth Formula 1 driver's championship title, after finishing ninth at the 2017 Mexican Grand Prix. 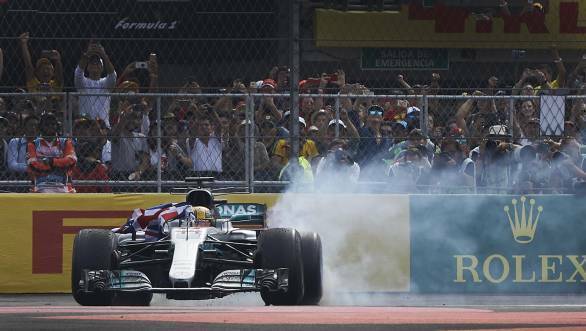 This makes the British driver, who currently races for Mercedes, the most successful British driver in F1 history. 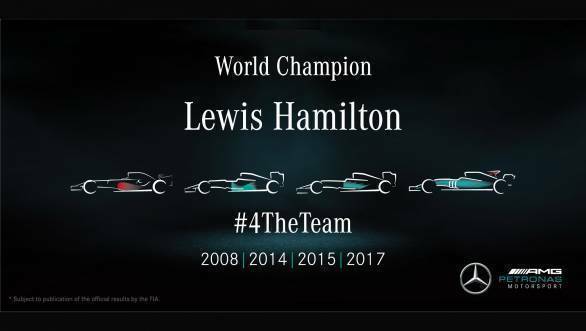 Hamilton joins the likes of Sebastian Vettel, Alain Prost, Juan Manuel Fangio and Michael Schumacher, each of whom have a minimum of four championship titles to their name. 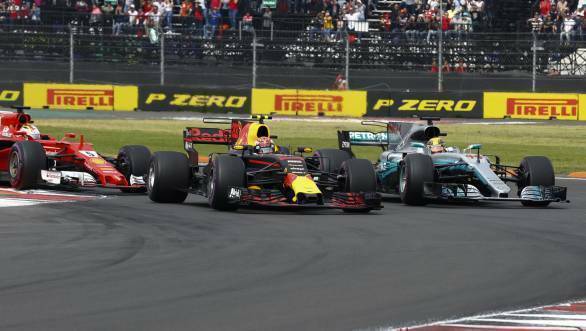 The race itself, which was won by Red Bull Racing's Max Verstappen, had a chaotic beginning. However, it was the Dutchman who got off to a good start from second on the grid, and led the way, never relinquishing his hold on the race. Contact between Hamilton and Vettel led to both title rivals having to head into the pit-lane early, after which they would both spend their time clawing their way back up the order. While Hamilton would finish ninth, Vettel would end the race in fourth place. Second place in the race, behind Verstappen, would go to Valtteri Bottas, who had a quiet race himself. Kimi Raikkonen would take third place for Ferrari. Perhaps the only threat that Verstappen faced all race, was the possibility of the Renault engine in his Red Bull RB13 going bust. Three Renault engines failed during the race, with Toro Rosso's Brendon Hartley, Renault's Nico Hulkenberg, and Verstappen's team-mate Daniel Ricciardo, all suffering engine issues. 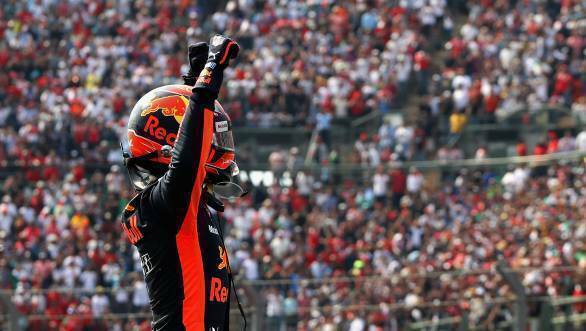 While at one point during the race Verstappen's lead was over 14 seconds, Red Bull reigned him in to ensure that his engine wouldn't suffer the same fate as the others did over the course of the race. Fifth place in the race went to Esteban Ocon, for Force India, who finished behind Vettel. Sixth place went to Williams' Lance Stroll, while Sergio Perez finished in seventh in the second Force India, which was all that was needed for the team to claim fourth place in the constructor's championship. Kevin Magnussen took eighth place for Haas, one spot ahead of Hamilton. Tenth place, and the final point in the race went to Fernando Alonso, who had a close wheel-to-wheel battle with the Mercedes driver towards the end of the race. Felipe Massa finished the race 11th, ahead of Alonso's McLaren team-mate Stoffel Vandoorne, while Toro Rosso's Pierre Gasly finished 13th. Pascal Wehrlein and Romain Grosjean were the last classified finishers.